I am Marjon, proud creator of Regenerate Your Life. RYL is here to share knowledge and experience with outstanding products and information designed to Regenerate your mind, body and spirit. Via this website, we have created a portal for you to access researched information on concepts of modern and ancient traditions. Our aim is for you to achieve and stay in your vitality, youth, and longevity, creating a well-balanced physical, and spiritual well-being self, naturally. Our main focus is RYL Moor Mud for overall health. Thousands of years old, rich in natural earth ingredients. Consisting of only organic decomposed plants, such as herbs, flowers and grasses, creating a magic elixir, including minerals, trace elements, amino acids, enzymes, essential oils, humic and fulvic acids and many other nutrients. 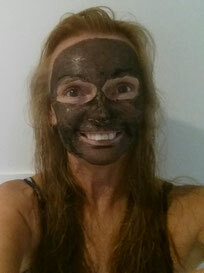 Incidentally humic and fulvic acids are creating massive interest for their proven benefits, truly regenerating and repairing cells evenly and quickly. Rare they are, humic and fulvic acids are only found in specific isolated places around the world. We found them!. My good friend Google literally dropped it into my lap/laptop. It's true! I made a pact to myself to constantly regenerate when my mum passed, her life taught me how not to live mine, I love her for that gift. What drives me is to continue to create an honest, ethical, natural, informative site that inspires and gives the very best of face and body treatments that deliver results. With many years behind me, studying how the mind, body and soul tick as one, and with much trial, effort and tears, I have successfully written my own formula to well-being, inspiring me to guide others to achieving theirs. We truly are our own self healer, but sometimes we need guidance on which formula is best suited. Creating an incredible spark* within your own energetic field, then out into the universe. Bringing you closer to your infinite wisdom, which lies within all of us. Tuning into our inner or higher self, we find and remember our own individual wisdom, and begin to see our body as the beautiful vessel that it is. The reward for seeing and then loving your true self is a natural healthy birth-right state of well-being. You are your own wisdom keeper; you hold the key to an abundant fulfilled healthy you. Regenerate Your Life naturally your worth it. Good Fortune with Infinite Blessings* will come to you. If you so choose, come join the New Generation! !